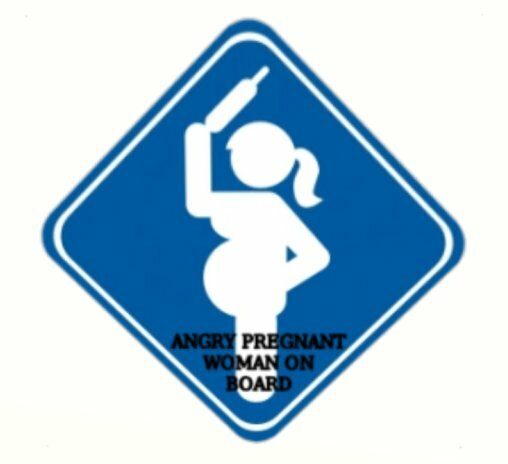 I hate to admit it, but I am one angry pregnant woman. I am tried. My body aches, my hips hurt, I have this bruise-like pain below my right breast, and did I mention I'm tired? I get this is a miracle, the whole carrying person in your womb for nine months, but I'm a tad over it. And I know I should be happy that I avoided the whole morning sickness thing. But, seriously, this is the pits. I have vivid dreams that keep me up, I cannot get comfortable no matter how many pillows or combo thereof, and I could bite the head off of anyone at any given moment. Add in the nagging sore throat and just plain ole sluggishness from carrying around some extra pounds and I am just one plain old angry pregnant woman. All I want is a massage, to sleep on my back and a hottub. I apologize to my sweet husband for the thing that had possessed my body and turned me into an emotional, mean mess these days. Bless his heart. Bright side? Only 15 weeks to go!